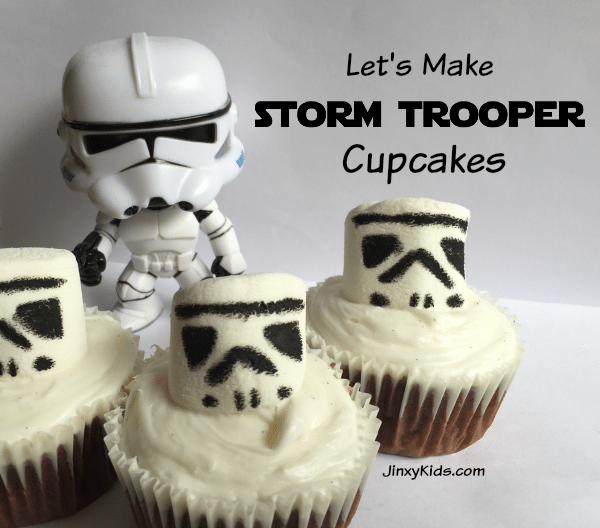 Storm Trooper Cupcake Recipe – Star Wars Fun! 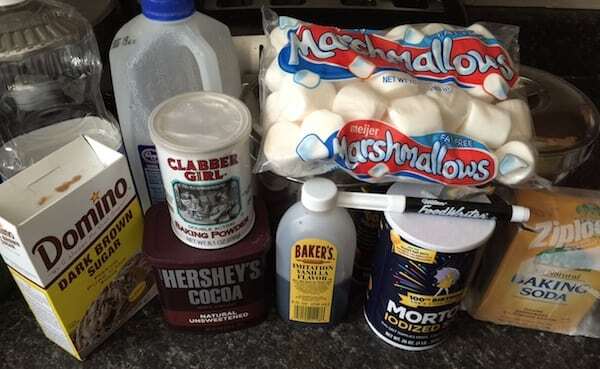 Our recipe starts with a homemade chocolate cupcake, but you can make things easier by using a box mix if you like. We leave it up to you as to the type of frosting you want to use, but our favorite is this easy buttercream frosting recipe. 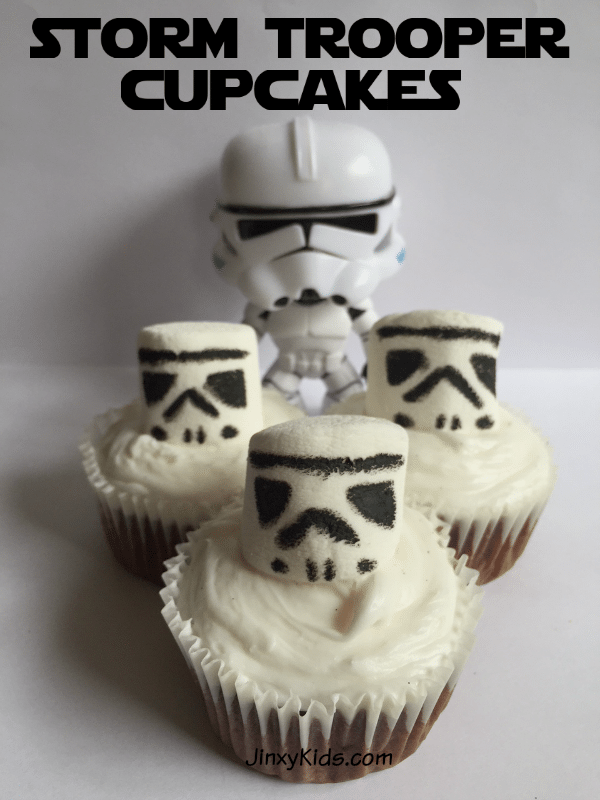 To make the Storm Trooper faces for these cupcakes, we simply draw on full size marshmallows with a black food writer pen that you can get at a baking store, on Amazon or at BakeDeco. 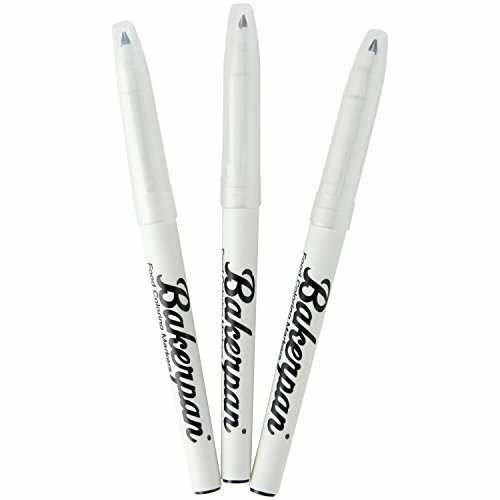 (It’s under $10 for a set of multiple pens.) 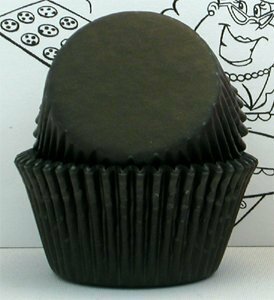 I also recommend making your cupcakes in solid black cupcake liners or make them extra fun with Star Wars themed cupcake liners. These are really cute cupcakes. 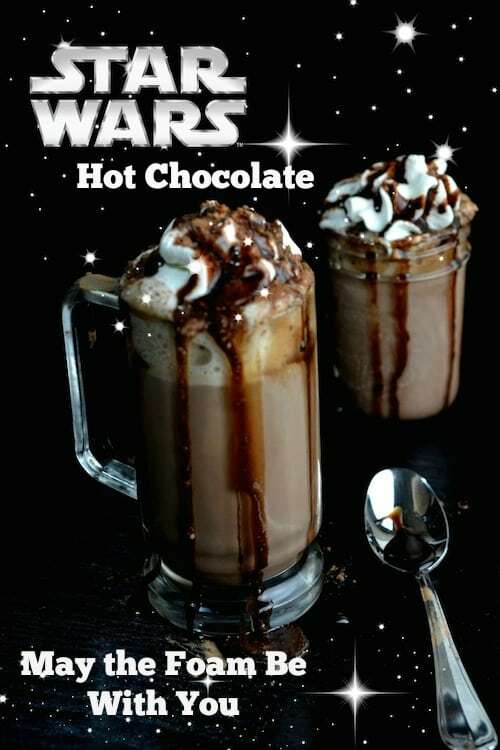 The kids would love them along with the hot chocolate. I love these cupcakes. They are so cute and would be great for a party. Too funny! 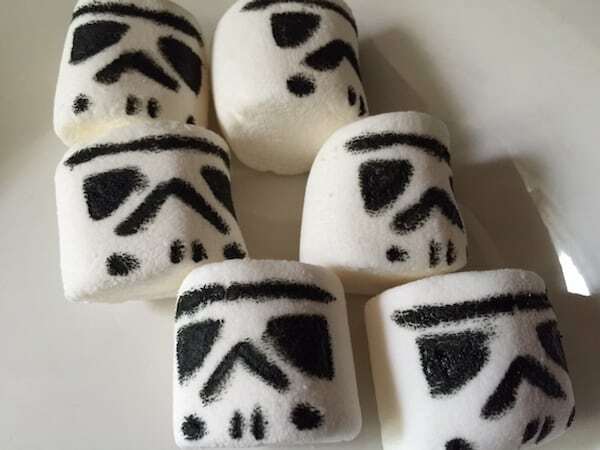 I’m making these for our Star Wars party this wknd. They look so easy to make, and fun! 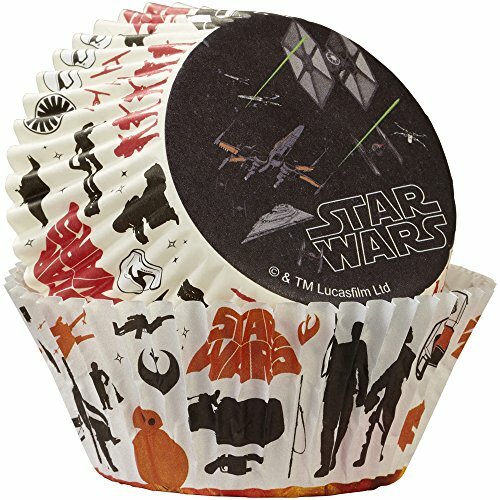 My grandsons school just had a star wars themed day and these would have been perfect to make for his class! So cute!